The DIVO Diaries: Contest Alert! With great nails come great repsonsiblities and we understand those needs too! And we at Divo have a surprise for you. 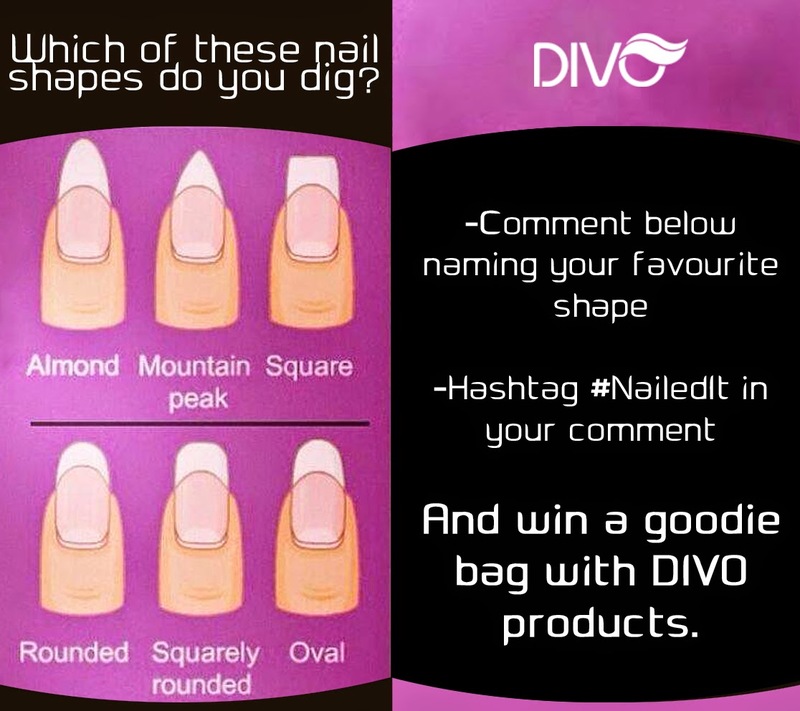 Divo's Goodie bag has some amazing treats in store, which can be yours by answering a simple question. Just tell us which of these nail shapes do you prefer best. Comment along with the hashtag #NailedIt and stand a chance to win big!